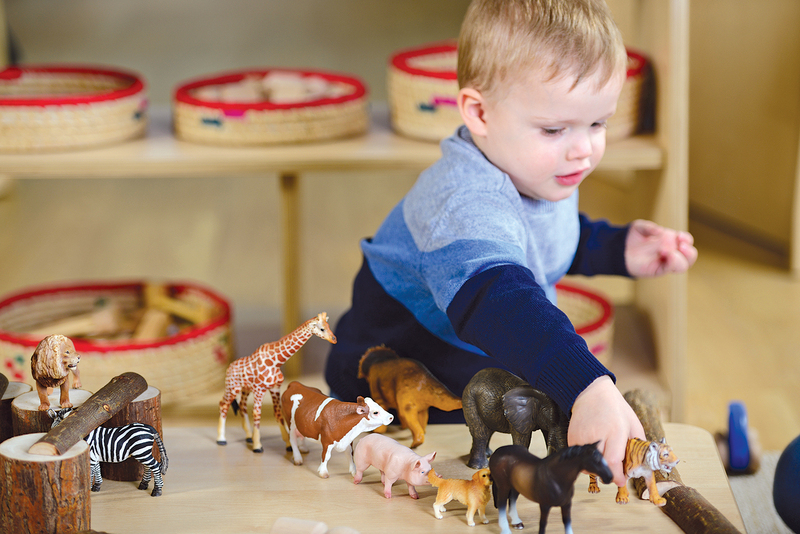 Small world play is rich in language and is a fantastic resource that helps children to use their imagination and explore the world around them. 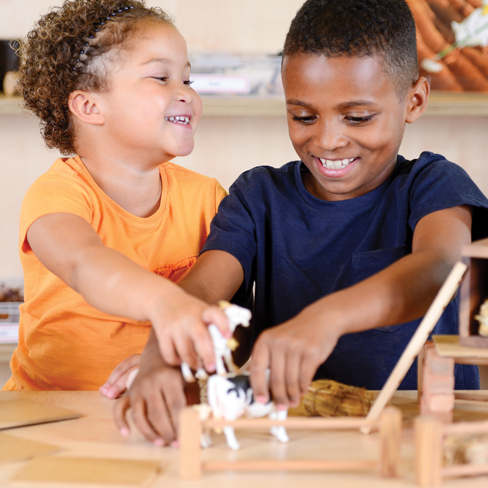 This small world resource collection 3-4yrs offers lifelike resources that connect with the real world, children are able to represent the people and places familiar to them, acting out narratives through the characters, reflecting on events in their lives. 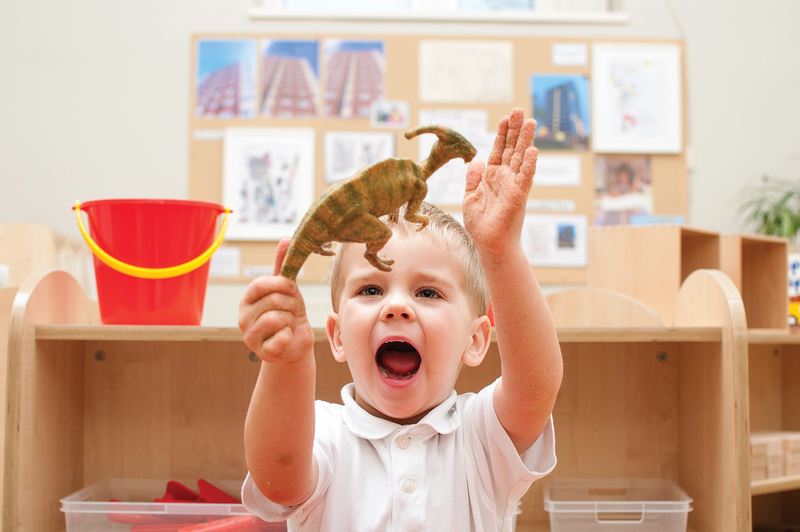 By adding characters such as dinosaurs, children are able to delve into their imagination as they engage in rich and sophisticated storytelling. 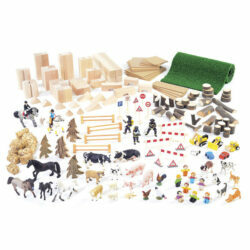 Set of Farm Animals – including a cow, cow calf, sheep, goose and pig. 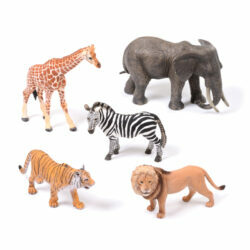 Set of Wild Animals – including a lion, tiger, elephant, giraffe and baby giraffe. 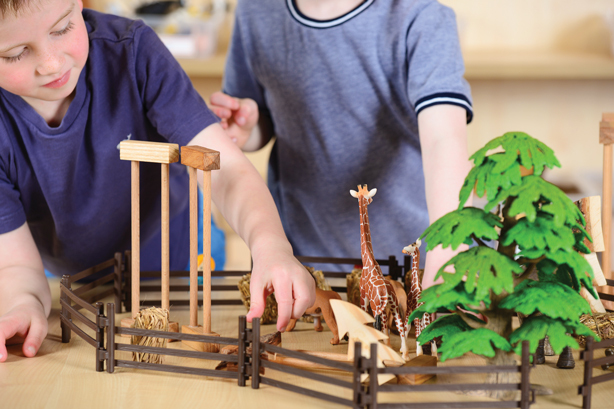 Set of Dinosaurs – set of four well known dinosaurs including a t-rex, stegosaurus, Spinosaurus and Acrocanthosaurus. 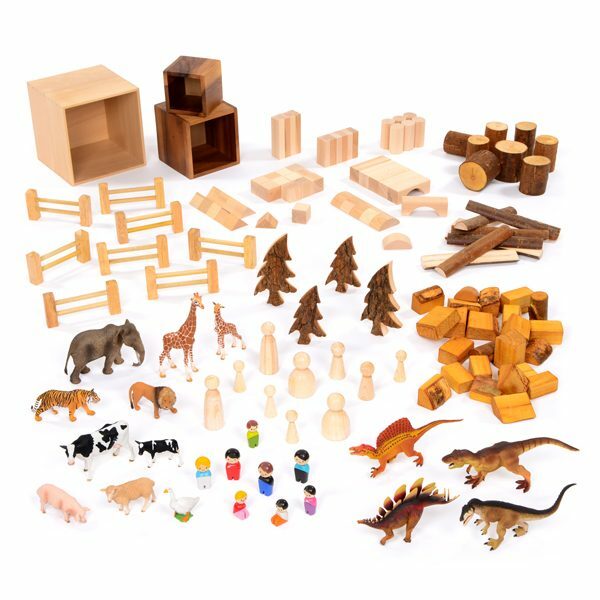 Small Basic Blocks – 50-piece set – Children love to assemble large structures from small blocks, often making their buildings more complex each time. 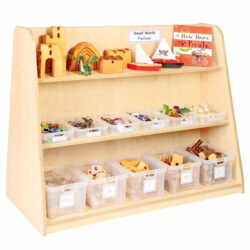 Set of Wooden People – range of shapes and sizes. 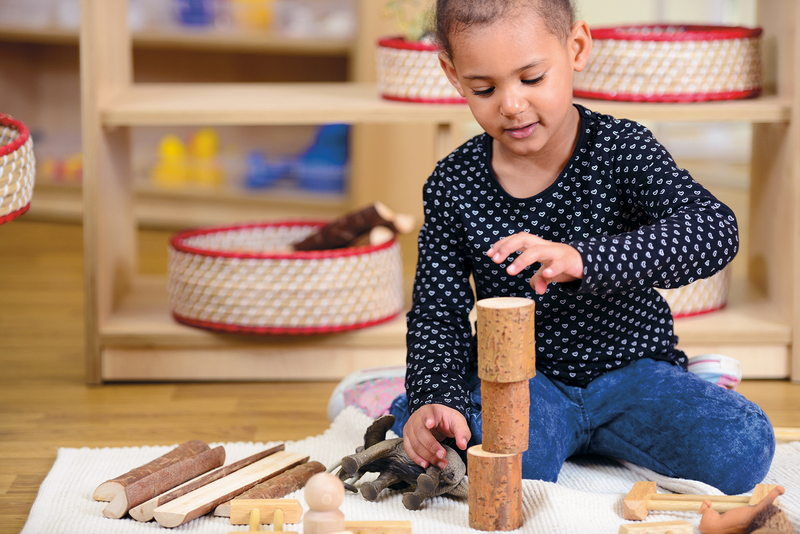 Set of Wooden Blocks & Logs – including 8 of each. 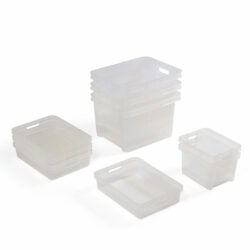 Set of Wooden Boxes – including two dark wooden boxes in two sizes and one large wooden box.